Colonel (Ret.) Chris Hadfield donated thousands of copies of his space photographs to Dalhousie so we could share, preserve and promote their use in teaching and research. The photographs capture what Colonel Hadfield saw while orbiting Earth as Commander of the International Space Station (ISS) in 2013. Using the Story Map platform to present a curated selection of the photographs, we are proud to launch the Chris Hadfield Space Photographs Collection, which we will be displaying on our new data visualization wall in the Killam Library. We will be joined by representatives from Chris Hadfield Inc. for this special event. All are welcome. Thursday, April 11, 3 p.m. Exam season is almost upon us, and that means we’ll be offering extended hours at most of our locations, starting as early as this weekend. Starting April 4, the library will stay open until midnight on Thursdays and Fridays and open at 9 a.m. on Saturdays. Starting March 17, the learning commons will stay open till 3 a.m. A valid DalCard is required to take part in Night Owls (Sun–Thu, midnight–3 a.m.). 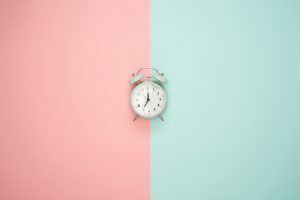 Starting March 24, the first floor of the library will remain open till 3 a.m. and starting March 30, the library will open at 8 a.m. on Saturday and Sundays. A valid DalCard is required to take part in Night Owls (Sun–Thu, midnight–3 a.m.). Starting March 17, the Student Learning Commons will remain open till 3 a.m. and the library will open at 10 a.m. on Saturday mornings. A valid DalCard is required to take part in Night Owls (Sun–Thu, midnight–3 a.m.). Sexton Design & Technology Library Starting April 5, the library will stay open until midnight on Friday and Saturday nights. Night Owls Starts This Weekend! Starting on March 17, the Kellogg Library Learning Commons in the CHEB and the Student Learning Commons in the MacRae Library will stay open till 3 a.m., Sundays through Thursdays. Starting March 24, the first floor of the Killam Library will stay open till 3 a.m., Sundays through Thursdays. Prefer mornings? Starting March 23, the MacRae Library will open at 10 a.m. on Saturdays. The Killam Library will open at 8 a.m. on Saturday and Sunday mornings starting March 30. 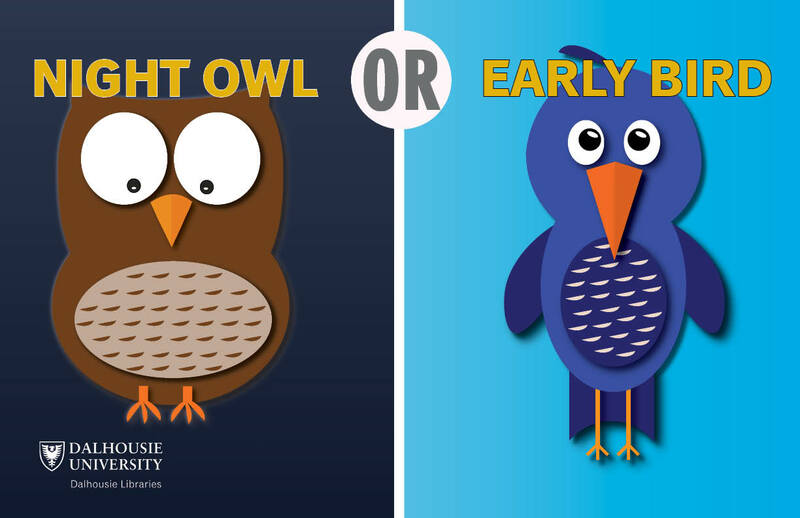 Are you a night owl or an early bird? Either way, good luck with your studies! Night Owls is for Dalhousie and King’s students. A valid DalCard is required. Night Owls is coming to the Agricultural Campus! Also starting that same week are our Early Bird hours on Saturday mornings. We’ll open at 10 a.m. for two extra hours of morning library time in the weeks leading up to exams. Night Owls is for Dalhousie students. A valid DalCard is required. Click the green “submit a job” button and select kil-prt-4\DalAC-MacRae-UpperLevel (DAL – Truro Campus – MacRae Library – Upper Level). There are many printers listed, advance to page three to find this printer. 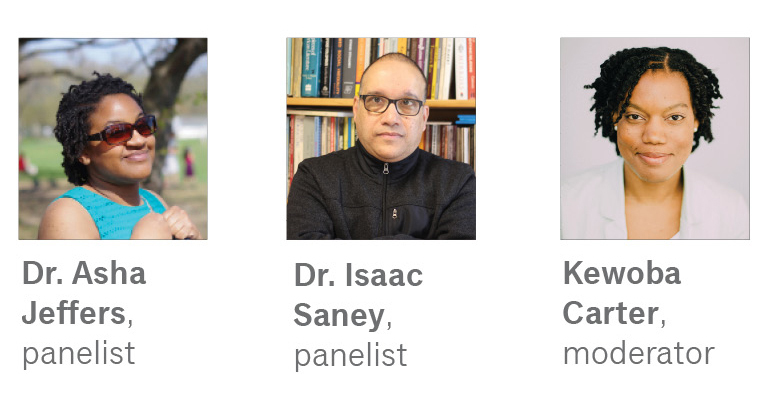 Join us for this panel discussion on Afrofuturism with Dr. Asha Jeffers of King’s and Dr. Isaac Saney of Dalhousie. Kewoba Carter of Dal’s International Centre will moderate. 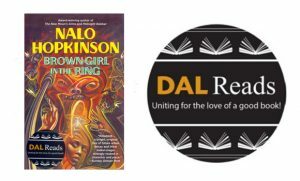 This is event is presented by the Dalhousie Libraries in support of this year’s Dal Reads book, Brown Girl in the Ring by Nalo Hopkinson. Set in the near future in a dystopic Toronto, Brown Girl in the Ring contains themes of folklore, feminism, and magic realism steeped in Afro-Caribbean culture. Monday, March 18, 7 p.m.
Rowe Building, Room 3089, 6100 University Ave.
interested in myths of the past and myths of the future. Dr. Saney is Director of Dalhousie’s Transition Year Program, established to redress educational barriers and injustices facing the Mi’kmaq Nation, other First Nations, and African Nova Scotians. His teaching and scholarship encompasses Africa, the Caribbean, the US Civil Rights Movement, Cuba, and Black Nova Scotian history. He is a community activist and participant in the anti-war movement and the anti-racist struggle, with roots in the Black Nova Scotian community and the Caribbean. Kewoba is an International Student Advisor & Co-ordinator in Dalhousie’s International Centre. Originally from the island of Dominica, she taught secondary school English Caribbean Literature for two years. She then moved to Canada and graduated from Dalhousie with a Bachelor of Arts Combined Honours in International Development Studies and English. Due to the forecast, the Killam Library and the Kellogg Library Learning Commons (CHEB) will close at 10 pm. The Wallace McCain Learning Commons will close at 9:45 pm. Apologies for the inconvenience. Stay safe, everyone! 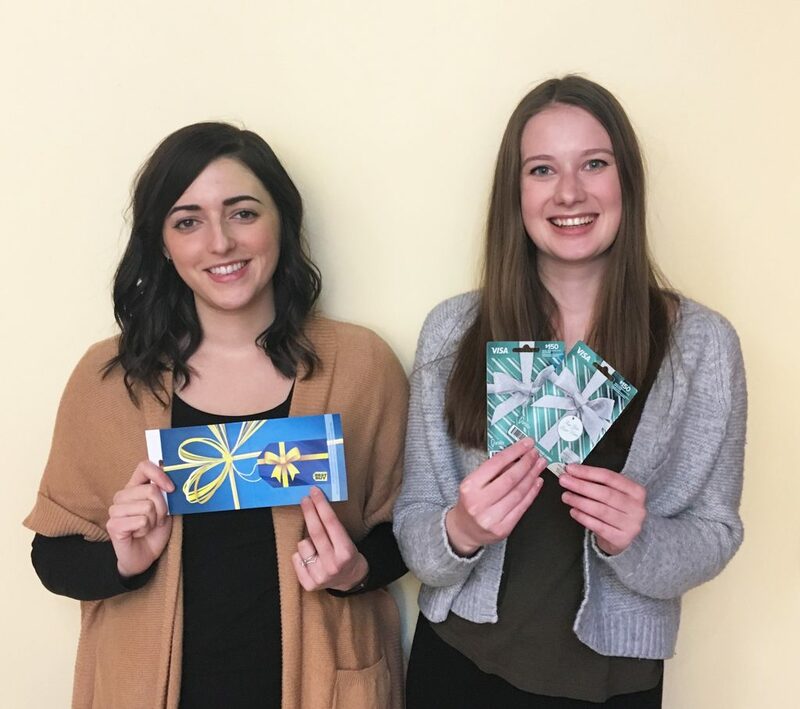 Congratulations to our survey prizewinners! Earlier this term, we ran a survey about the libraries and library services. We offered two prizes for participants: a $500 Best Buy gift card and a $300 VISA gift card. We are pleased to share with you a photo of the winners collecting their prizes. We’d like to thank everyone who completed a survey. Your valuable input will inspire and improve library services, technology, collections, and spaces that are important to you. Breah Carlotta Ali and Jocelyn Brown were our happy prize winners. Congratulations! 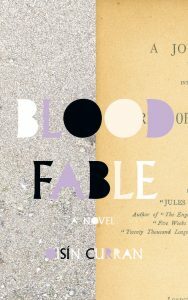 Join us for an evening with Oisín Curran, winner of the 2018 Thomas Raddall Atlantic Fiction Award for his novel, Blood Fable. 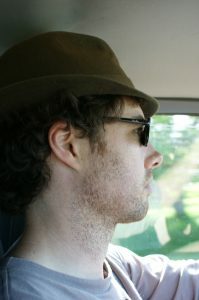 Author photo by Sarah Faber. The Raddall Award, first presented in 1991, was established with an endowment by Thomas Head Raddall. With ongoing support from the Raddall family, this award honours the work of fiction writers in the Atlantic region and, as the original benefactor envisioned, provides “the gift of time and peace of mind” so essential to the creation of new work. (Source: WFNS website) It is the largest literary prize awarded in Atlantic Canada. ⇒Thursday, March 7, 7 p.m. Presented by the Dalhousie Libraries and the Writers’ Federation of Nova Scotia. Maine, 1980. A utopian community is on the verge of collapse. The charismatic leader’s authority teeters as his followers come to realize they’ve been exploited for too long. To make matters worse, the eleven-year-old son of one adherent learns that his mother has cancer. When working with Census geography, everywhere is somewhere. For Nova Scotia, the 2016 Census reference maps at the Aggregate Dissemination Area (ADA) and Dissemination Area (DA) geographic levels are now publicly available through the Dalhousie University Dataverse <https://dataverse.library.dal.ca>. These are PDF files from Statistics Canada that define ADA and DA boundaries for all eighteen counties in Nova Scotia. DAs (formerly Enumeration Areas), have been used since the 2001 Census, but ADAs are new. They were created for the 2016 Census to encompass areas having a population ideally between 5,000 and 15,000, and cover an entire county (respecting its boundary). The number of ADAs reflect the overall population of each county. Halifax County has 57 ADAs whereas Guysborough County has only one. Each county is a Dataverse dataset with its own Readme file, providing the coding correspondence between each ADAuid and DAuid. These identifiers are defined in the Readme file. In addition, there are CT maps that define the Census Tracts for the Halifax Census Metropolitan Area (CMA=205). Overall, this collection contains more than a thousand maps (PDF files). You can download one or more files. Note: The DA reference maps are not available on the StatCan website but the Statistics Canada Open Licence enables us to distribute this collection of maps on an “as is” basis. Special thanks to Sai Chua and Lachlan MacLeod for all of their work on this! 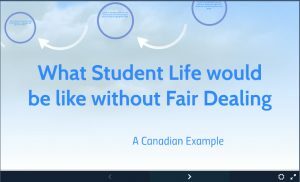 This is part four in a five-part series of blog posts celebrating Fair Dealing Week (February 25th to March 1st, 2019). As students of Dalhousie University, you may copy materials for which the university (e.g. the Dal Libraries) has negotiated licenses, according to the terms of the individual license agreements. In addition to license agreements, fair dealing allows you to make use of a work for yourself for the purposes of private study, research, criticism or review, news reporting, education, and parody or satire. For example, you can copy one article from a journal, or one chapter from a book for the purpose of your studies and research.